Steve Jobs was a passionately detail-oriented man: he cared about the smallest detail and nuances of Apple's products and marketing. Since his death the focus on detail and quality appears to have fallen. One of the key indicators for this assumption is the Apple Maps product launch (and on-going product issues). 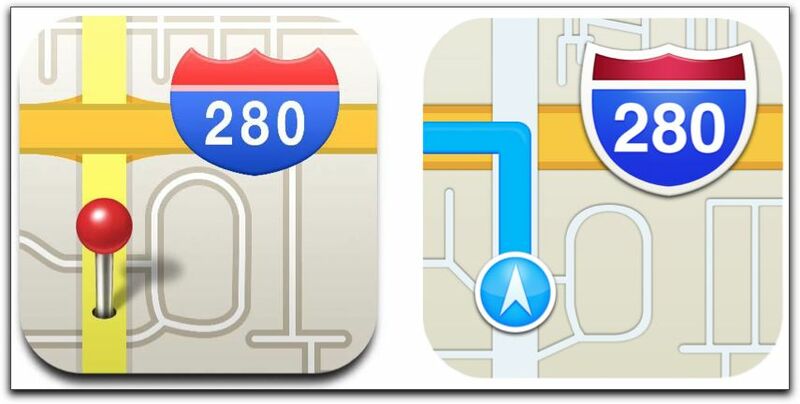 With the introduction of iOS 6, Apple opted to ditch Google Maps (the default maps application on all iOS devices since the first iPhone in 2007) and instead rely on an Apple-developed mapping application. When iOS 6 Maps was released to the general public, many people were disappointed by general inaccuracy, mislabelled or non-existent cities and landmarks, and a lack of transit directions. The new service has been so poorly received, there's now a Tumblr blog devoted to documenting Apple's mapping fails (http://theamazingios6maps.tumblr.com). "That was really interesting because to get something so wrong and to come out with it anyway, you have to wonder where the breakdown occurred," she said. "The questions I'm asking are, did Scott Forstall not know? As the lead mobile software head, did his people not tell him? Or did he know and not tell Tim Cook? Did he tell Tim Cook and he decided it was okay? That was a big breakdown somehow." The iPad Air is another example of poorer-than-usual Apple product launch. The iPad Air came in for some heavy criticism due to its 1GB of RAM - not enough when switching from a 32-bit to a 64-bit operating system, in their opinion. (If you own an Air and your apps keep on crashing, this could be why.) Steve Jobs would likely have anticipated this problem or his presence would have ensured that one of the product teams spotted this problem before launch. Another problem for Apple is that Steve Jobs had the total authority to make big changes; Tim Cook is CEO and appears to engage a committee for the big decisions. Diluted control leads to slowness of decision making (and sometimes a lack of overall ownership). Steve Jobs also had a reputation for jealously and zealously guarding quality and innovation in Apple products. He was a one-off personality and vision-bearer. How does a company successfully transition to new leadership after such a strong management figure departs? Apple has always had strong competition - during Steve Jobs' second reign at the company as well. Apple triumphed (with the iPod, the iPhone in particular) by innovation and quality product. Lack of innovation and quality product will erode customer satisfaction just as surely as lack of innovation eroded Blackberry customer satisfaction (in terms of market perception, consumers, and corporate client base). Apple very much has the cool factor right now. How many programmers now code on Apple laptops and desktops? Creatives and the hipsters have seemingly adopoted Apple products as the de riguer tools to use. Do you wonder how loyal these consumers and clients would be if Apple fell away in terms of innovating and delivering smooth and efficient customer experiences with quality product and software? Tim Cook eventually apologised for the poor quality of the map product, and while this is a grand gesture that will endear him (and Apple) to customers, there are serious consequences for Apple. The company is putting its reputation and hard-won cool and credibility on the line. Samsung seemingly came from nowhere to a position of smartphone prominence with innovative and quality phones. Who's to say that they or another rival (or as yet not released new product) may become the new standard bearer for quality, cool devices? Who's looking after the detail? Have we tested the greatness impact internally? What is the current and future market trend? How will the product sit in the market place? This four line checklist asks the questions that will help Apply maintain it's reputation and customer satisfaction. These questions being asked in the most senior circles will filter down to the designers, engineers and assembly technicians and testers as detailed analysis gateways and checklists on quality control, product specification, typical product usage, and maintenance. Does anyone think that these questions were asked and honestly answered before Apple Maps and the iPad Air were released to the public? Assume not - if the truth is yes than that means that there is a serious departure from the Jobs days (Tim Cook has a reputation as a being a surgeon of an operations leader and I would personally doubt that he would have given the GO signal for a faulty product if he had all the relevant information to hand (as in the real feedback on the serious issues with the products). Would Gorilla Theory product development and release brainstorming and checklisting have prevented debacles such as Apple Maps? ABSOLUTELY. Rushing to release a product can hamstring any product launch. Indeed, need for speed may blind the business to the reality that the product being sped through the development process is unnecessary or not up to expected quality. If Apple had maintained Google Maps in it's products for a few more years whilst working diligently on creating (possibly) a superior, innovative mapping tool and then switched out Google Maps, some customers would still have objected - preferring Googles interface and just having built up familiarity - but if the Apple Maps product had truly added value, quality and accuracy of information, ease-of-use interface, at least you could see the logic. Sometimes it's better to listen to gut instinct when developing an releasing a product. Potential or actual customer insight need not always sway product decisions, but there should always be standards that the product should be held to and checkpoints so you know you are on track to deliver a robust product that does what it's intended to do, and then achieves commercial/consumer-engagement success. As I write this blog post, I am part way through reading "The Everything Store: Jeff Bezos and the Age of Amazon". Bezos has a well-deserved reputation as an experimenter seeking to constantly innovate and serve the customer best to win greatest market share. It's inspiring to read that Bezos's last job before he made the leap to form Amazon, partly inspired his need for innovation and utilising latest technology and product trends. While at D. E. Shaw & Co. (an America-based global investment management firm), Bezos would have weekly meetings with the founder and discuss latest technology, forecast up-coming technology disruption and work out how they could tap into them for the benefit of the firm. His time at D. E. Shaw inspired him to create the 'everything store', and while his approach in the early years of Amazon to product development was at best cavalier, and certainly lacking the Jobsian 'make it great' caution, Bezos's saving grace was the laser focus on customer satisfaction - that was his ultimate goal and trigger to fix and improve services and products. Make sure you have an approach to developing your products and services that ensures you meet quality standards that matter to your business or goals. List your quality dealbreakers and map these to the finished product final assessment. Baby gorillas are projects that are deemed small and straightforward, and it is assumed that enough information is known of what needs to be done (the full requirements and delivery specifications) to get the project delivered, but these details are either not gathered, defined and approved, and (usually) not enough time is given for the delivery. Baby gorillas tend to be media campaign, HTML newsletter, microsite, site/page update-style projects. Got a great case study or question? And don't forget to use your checklists! You are forewarned, so be forearmed. Check useful tools for managing your projects.